Fair weather? Here’s the weekend forecast. 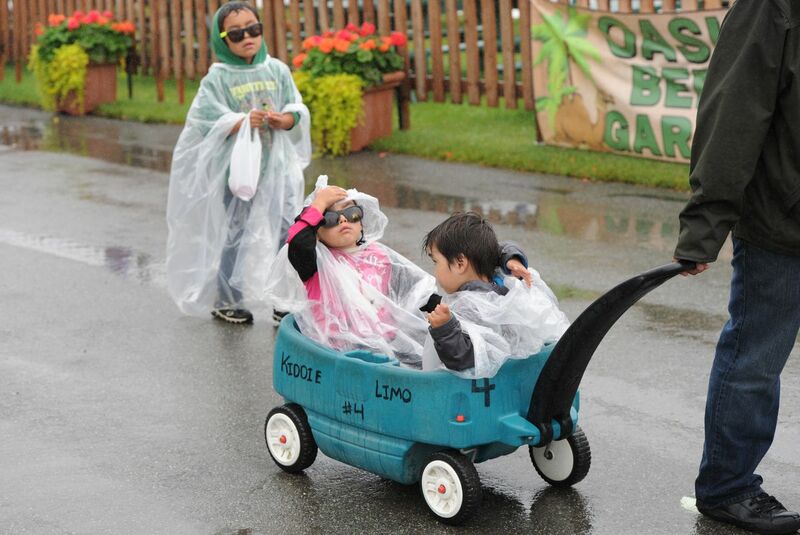 Wet weather is no stranger to the state's biggest annual fair in Palmer, and while Alaskans know how to pack waterproof gear and tough it out, it is nice to tour the grounds without rain dampening your funnel cake or whipping your face on the Tilt-A-Whirl. So what are your odds of a dry day at the fair opening weekend? Your best bet for OK weather is Saturday, when there's a chance of showers late in the day but it's mostly predicted to be partly sunny, with a high in the low 60s and little wind. Expect company – state fair organizers say this is usually the most popular day of the fair "by far." It's also Family Day – children 12 and under receive a $2 discount on admission (a donation of two shelf-stable food items is suggested). Rain and high winds are almost certain on Sunday, but it's also your chance to belt out "Jeremiah was a bull frog! He was a good friend of mine!" with Three Dog Night. After all, the Alaska State Fair comes but once a year. While rainy weather might not be ideal, it does tend to come with some benefits — including smaller crowds, better parking and shorter lines for funnel cake.